In computer science, a memory leak occurs when a computer program incorrectly manages memory allocations in such a way that memory which is no longer needed is not released. In object-oriented programming, a memory leak may happen when an object is stored in memory but cannot be accessed by the running code. A memory leak has symptoms similar to a number of other problems (see below) and generally can only be diagnosed by a programmer with access to the program. 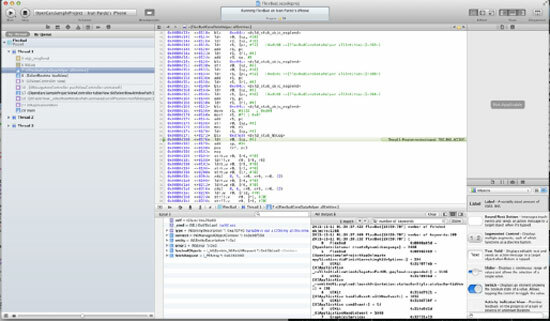 In development environments such as XCode (screen shot below) and Borland there are often tools and methods for detecting Memory Leaks. 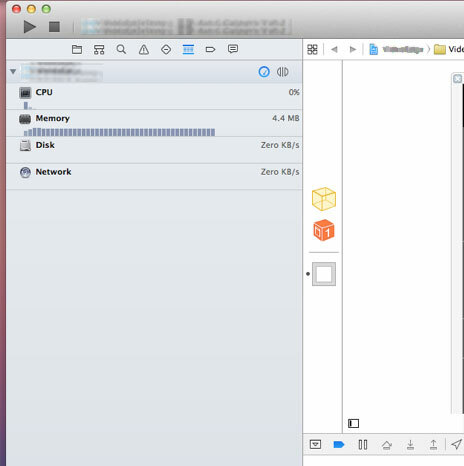 There is no agreed general icon for a Memory Leak. MINI Project: Design an ICON to symbolise Memory Leak as a general phenomenon. 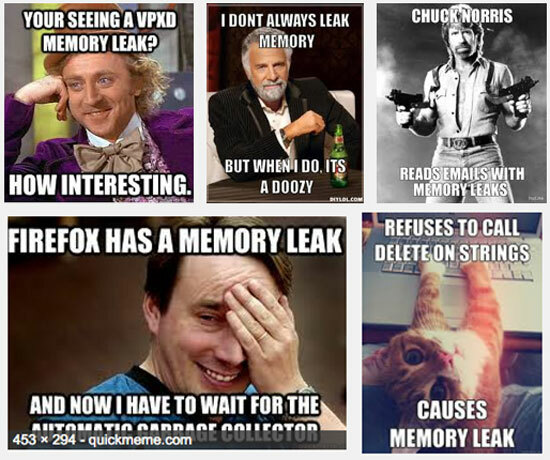 In designing an icon for a Memory Leak one could look at the idea of leaks, or the idea of memory as a start point. Timetable: This project could take forever, but dont take forever. Do it in one week. Please tweet me the answer. Current state of the art? Please tweet me with your answers but also please present A4 printed version of the icons in class. Also please position (redraw) your icon on this chart. (tweet or email) If you think it doesn’t fit add a new classification element. This entry was posted in DES516 -PPD on October 6, 2014 by Anthony Hutton.